Hi friends, I'm so excited to share with you this oh so simple repurpose using a dollar store clock. 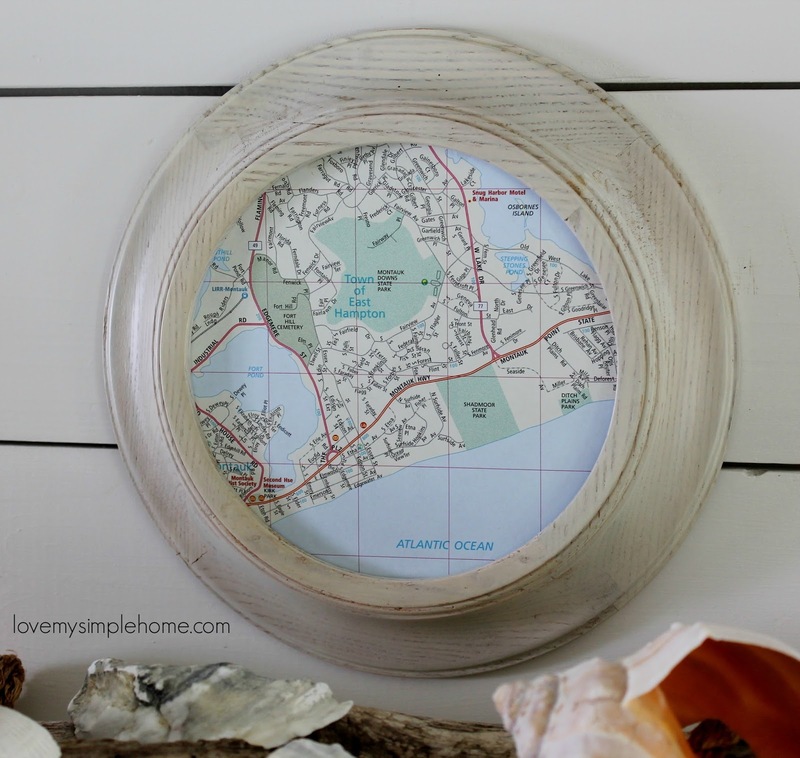 For this repurpose I used a dollar store clock and a map of a seaside town on Long Island where I use to live and work. The town is called East Hampton and even though I don't live there anymore I still like to visit from time to time stopping at my favorite antique stores, and farm stands. 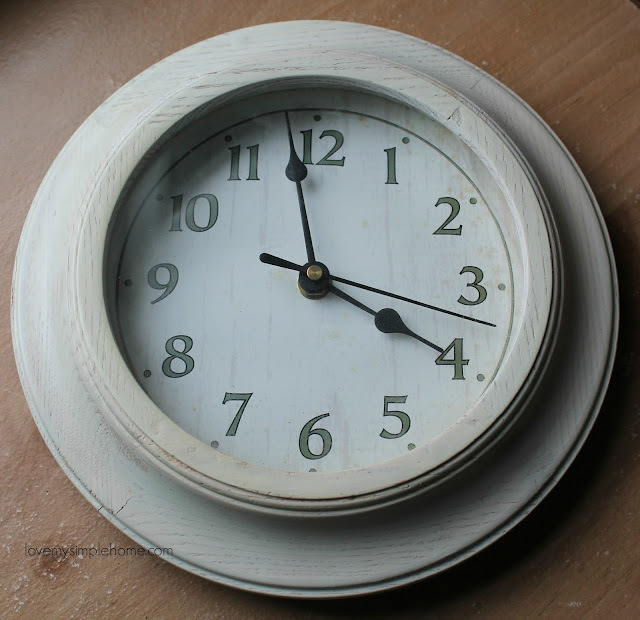 If you have a clock that is broken or one that you simply don't use anymore you can repurpose it into a picture frame. 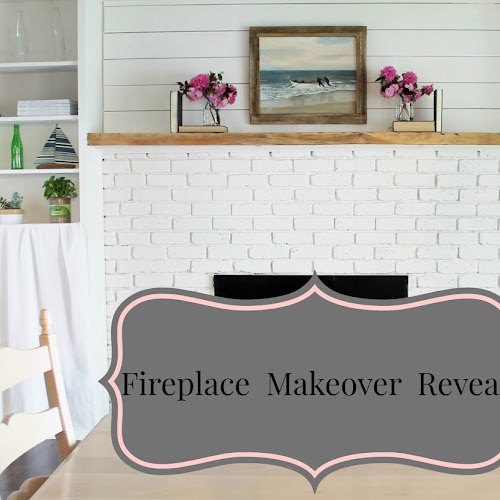 This is a super easy project to do and can be done in under 15 minutes. 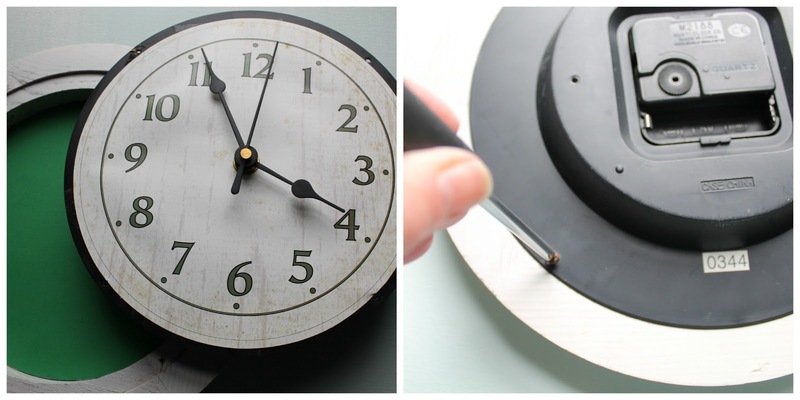 All you need is a pair of scissors and some glue & a clock of course. Remove the back cover using a screwdriver. I took everything out including the glass. I have a collection of maps that I like to use for my repurpose projects. I ripped out this one of East Hampton to put in my frame. 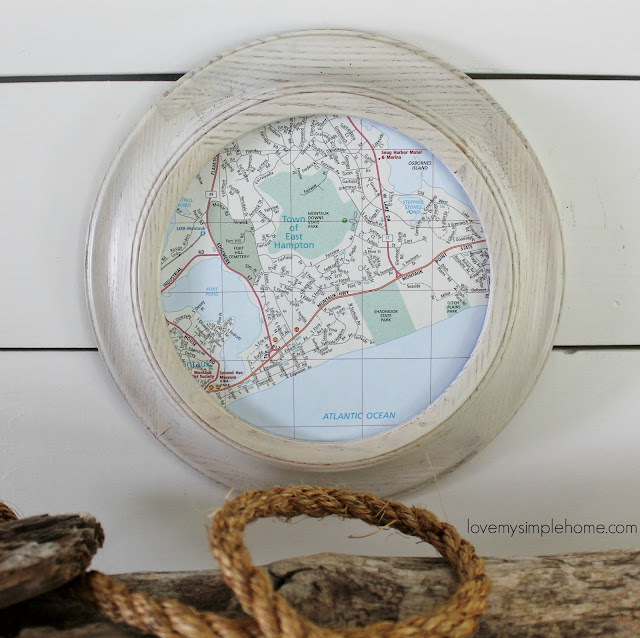 I used the glass from the clock to trace where I want to frame the map, then I cut it out. Next, I glued the map on top of cardstock to make the map sturdy. Then I reassembled everything by putting the glass back first, then the picture of the map and then the clock. Now you don't see the clock but you do see the map! And I still have a clock if I ever want to use it again. Check out my new nautical picture frame using a dollar store clock! 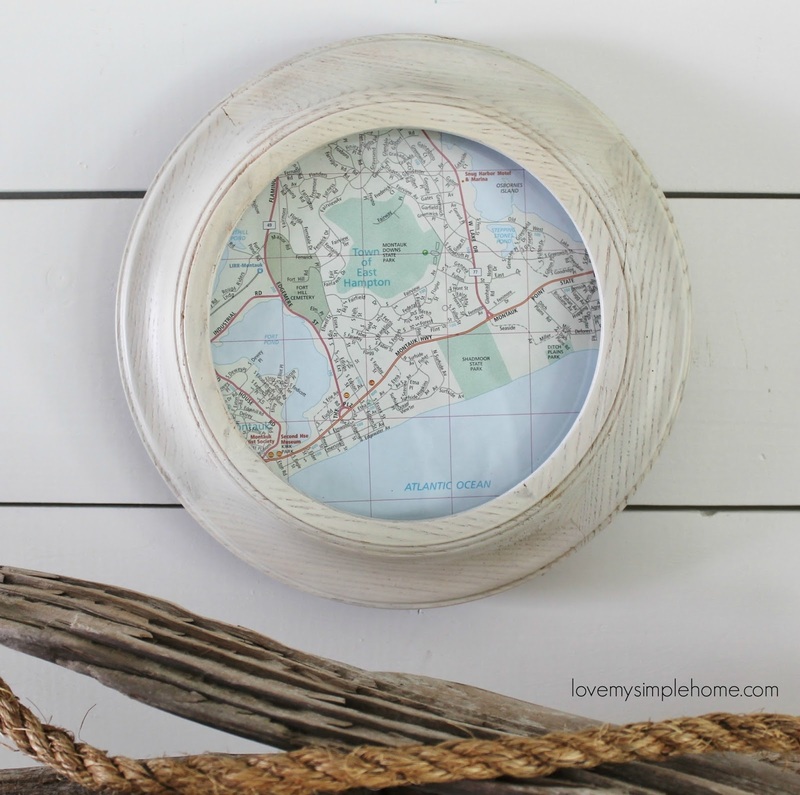 If you like this post you might like my post on how to repurpose a cabinet door into a frame.